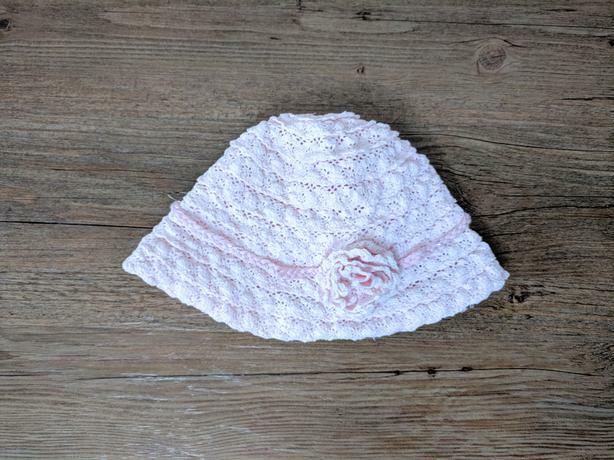 GUC - 0-12m, Joe Fresh, light pink woven lace baby summer hat/bonnet with bow lace flower detail. Has a couple of pulls in the material but is very cute on. Freshly washed in scent-free, dye-free detergent. Please see my other baby and toddler hats/clothing and shoes.